A movie camera with fantastic 12 times zoom lens. 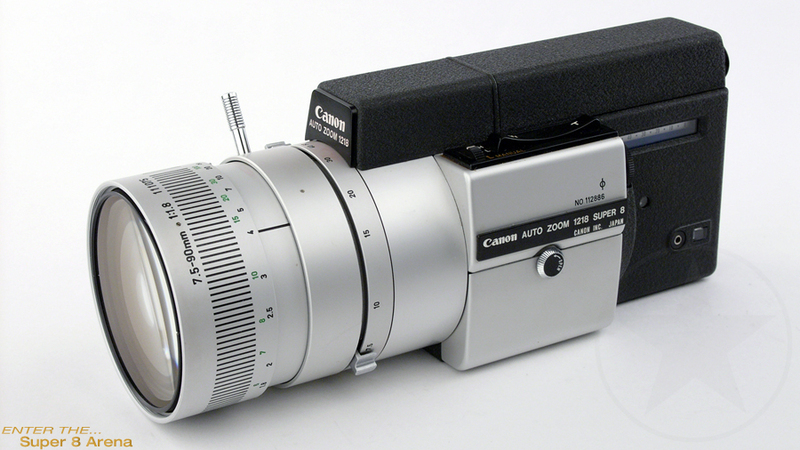 The fast f/1.8 lens of this movie camera has a 7.5 - 90mm zoom range and incredible 12 times magnification. It is almost the most powerful 8mm movie camera in the world, beaten by Bauer S 715 XL with its Angenieux lens. Other features include zoom range setting levers, powered zooming and filming, two speed control, automatic exposure control, SLR viewing and split image rangefinder, three filming speeds, removeable handgrip and manual aperture control. extreme zoom ratio, removable hand grip for low ground shooting.